Did You Know? 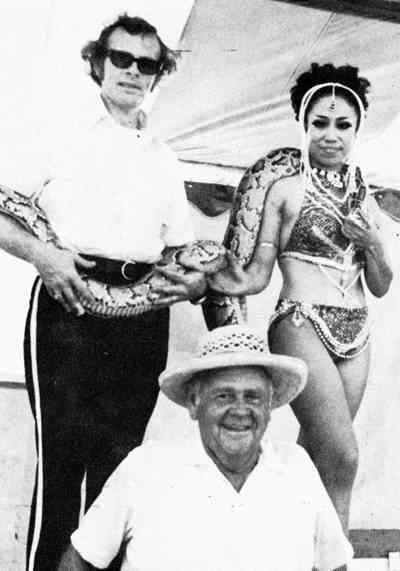 Was Father-in-law to Florida billionaire David Siegel of "Largest House in America" fame. Was friends with Elvis Presley and Col. Tom Parker. 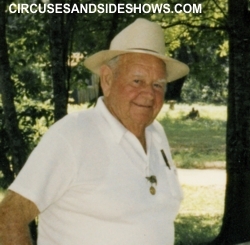 Hoxie Tucker, was one of the most colorful characters in American circus history. 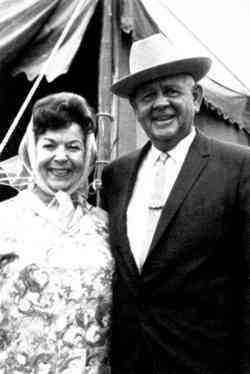 Leonard Basil Tucker was born Aug. 10, 1910, in Somerset, KY. to Mae and William B Tucker who was a grocery store owner. 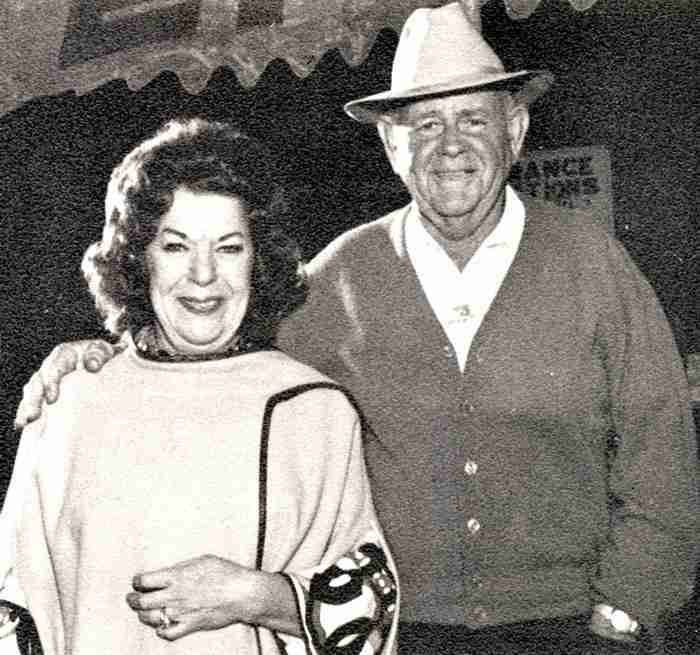 In Tucker's early years he was a fan of western movie star "Jack Hoxie", which is where the nickname of "Hoxie" came from. 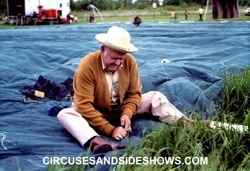 Hoxie began his show business career working for repertory "Rep Shows" and variety shows which toured the country performing under canvas. At age fifteen Hoxie left home and joined the "Redpath Chautauqua Company" where he worked as a prop hand. After twelve years with Redpath, Hoxie went to work for "Heffner Vernon Stock Company" where he serve as "boss canvasman". 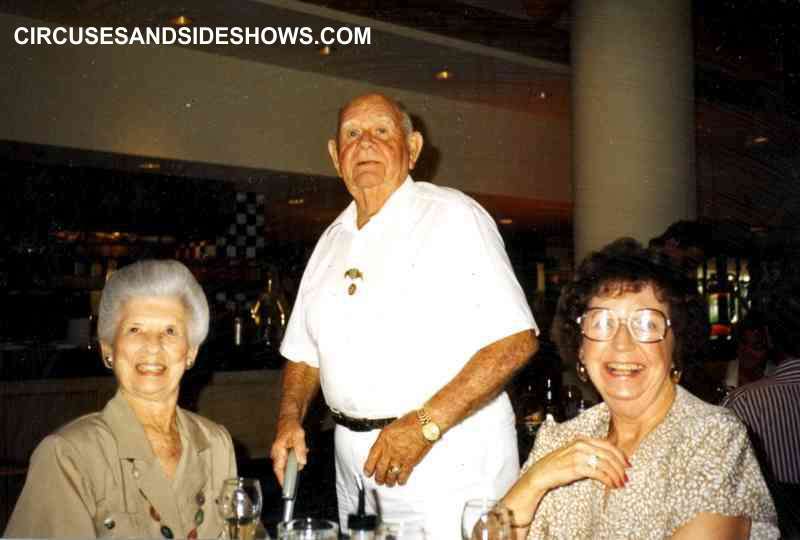 While working with the Heffner Vernon, Hoxie met his wife Betty, who was a member of the "Noble Sisters" dance team. 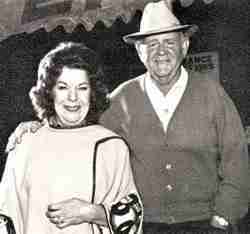 Betty had grown-up in show business, her family performed in vaudeville and musical shows. Tucker launched his first Hoxie Bros. 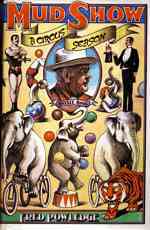 Circus in 1943 and after only one season Hoxie returned to tented musical shows. In 1961, Hoxie again revived the Hoxie Bros Circus which had a run of over twenty years..
With the success of the circus, Hoxie opened a second unit "Hoxie's Great American Circus". 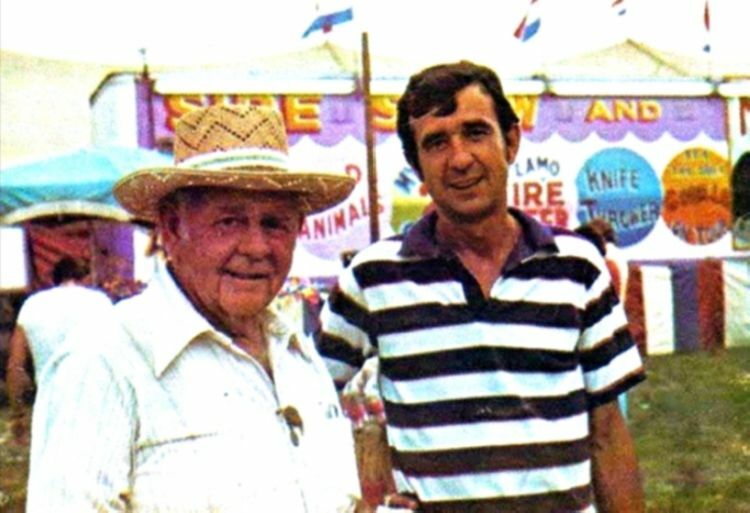 Tucker later sold the Great American Circus to his good friend, Allan C. Hill who had worked for Hoxie as a teenager. 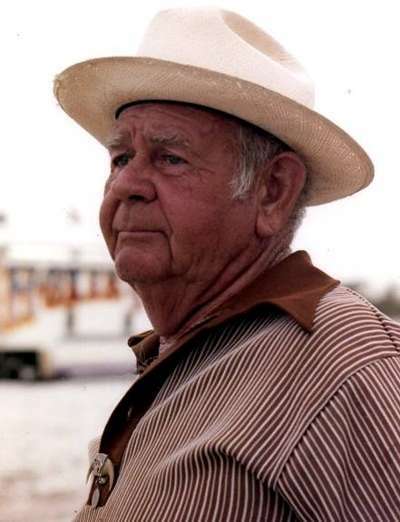 Although Hoxie could be cantankerous and times he was loved by those who knew him. 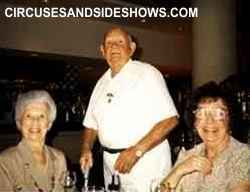 This was very evident in August of 1990, when nearly 200 of his friends and former employees from all parts of the country, showed up to celebrate his 80th birthday. 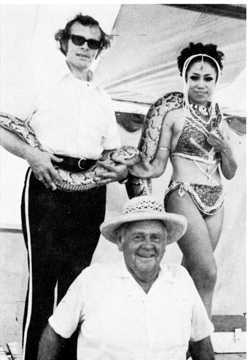 The celebration lasted for two days and was held at various venues in the city of Orlando, the event was hosted by Hoxie's daughter Irene. 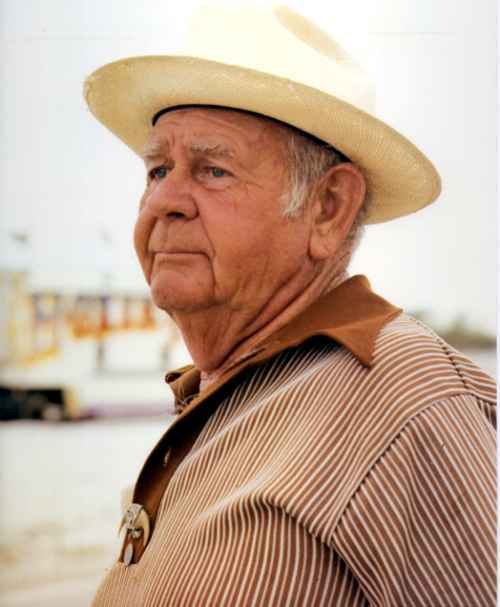 Leonard Basil "Hoxie" Tucker passed away on September 17, 1999 at age 89.